If we all have a wisdom to share most metal fans would deem theirs is to share metal music to the world in one shape or another. While that is great, there is a large portion of fans who have no knowledge yet continue to act as though they do and for HELLCAST it is fun for us to point out how much of a fool they are making of themselves. There is always that insistent showgoer(s) in every local scene which begs to question are they just being a whiner or is the scene falling apart for real? 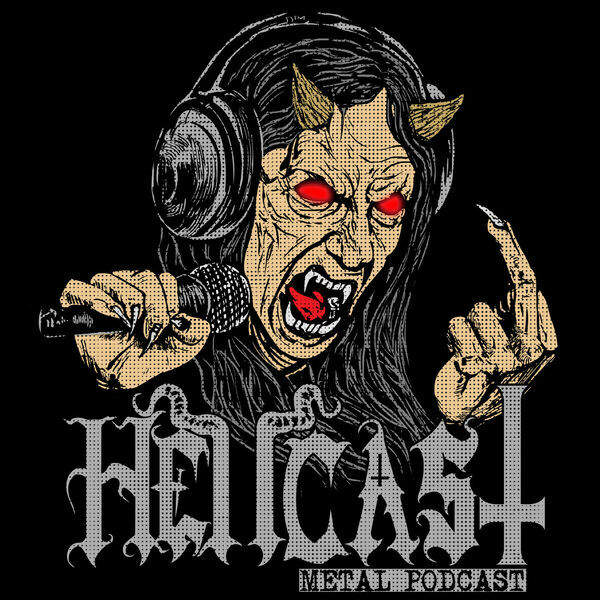 In an age where we have seen many bands come and leave their mark then fade into obscurity only to then reappear many years later, it is natural to question their motives for coming back; which of course Reaper and Eddie will do as soon as you hit that play arrow to tune into HELLCAST! HEAVY LOAD "Free" | PROFANAL "Black Chaos Horde" | SAVAGE STEEL "Better Late Than Never" | REVENGE "Retaliation (Fallout Prayer)" | SORCERY "Lucifers Legions" | ORCHID "Cosmonaut Of Three" | DARK ANGEL "The Burning Of Sodom" | BEHEXEN "Born In The Serpent Of The Abyss" | MANILLA ROAD "Queen Of The black Coast"